Nothing beats gathering around a hot fire pit on a cold night, and spending quality time with friends and family. 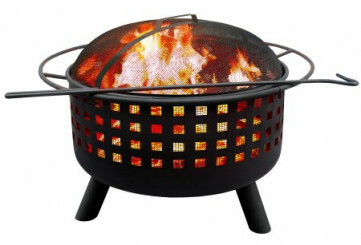 Deep 32cm firebowl for larger fires. Includes full size enamel cooking grate - Can be used as a portable grill. Safety Ring/handle for easy transport. 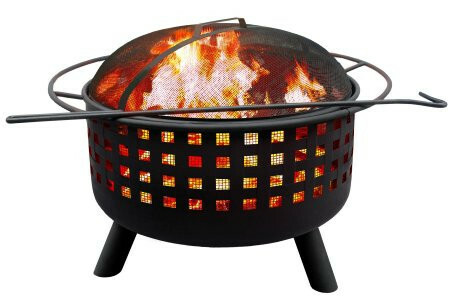 Large 60cm diameter fire bowl. Spark Screen and poker included. Provides 360 degree viewing of the fire. Product Dimensions: 75 x 75 x 59cm.